Quite often I’ll wish I had some generic “friend” cards for when I want to mail something to a friend. I could use just a plain envelope and notebook paper, but where’s the fun in that? I want my friends to know how special they are to me. When I have time, I’ll make four or five of these types of cards to have on hand. This card uses two of the Sale-abration stamp sets: Hello and What I Love. I’ve been remiss not sharing the Hello stamp set yet and it is available only for a limited time. That’s right, it goes away after 2/15, which means you have only one more week to get this stamp set for free (with a $50 order pre-tax and shipping). The flowers are from the What I Love stamp set and it is a “two-step stamp set”. 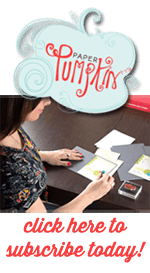 That means you stamp the outline of the flower in one color and then the inside petals are a completely different stamp and you stamp that in a second color. Well, this stamp set actually has an additional third stamp to give the petals more depth. The ink colors I used are Rose Red (outline and top layer of petals) and Blushing Bride (petals). I did stamp off the top layer of the petals before stamping on my card to give it a slightly different shade from the outline. I also used more of the Perfectly Artistic Designer Series Paper, which is also another free Sale-abration item you can choose. And the card base is Rose Red to compliment the color of the flowers. I added a couple pearls to jazz it up a little too. 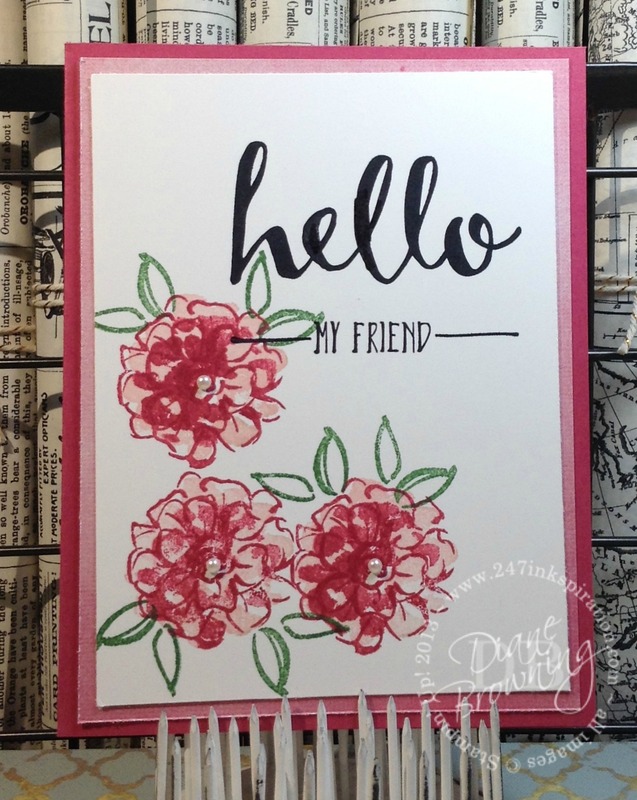 TIP: When you have a darker card base like Rose Red, you want to add a neutral color insert to the inside of your card so the recipient can easily read what you’ve written them. I generally use Whisper White or Very Vanilla for the inside of the card. How do I choose which one to use? I pick whichever will be the same as what I used on the outside. I just started using this Hello set. I don’t think I’m quite ready to say goodbye to it. But since I already have my set, I don’t have to say goodbye! Don’t wait to get yours.